Norman Newman picked up his fourth heat win of the season ahead of Daniel Hawn, James Marche, Rob Summers, and Brian MacDonald. Brody Rickwood scored his fourth qualifier victory of 2018 ahead of James Stanley, Jaden Riddell, Tyler Cullen, and Shawn Stanley. Daniel Hawn picked up his ninth heat win of the season ahead of Newman, Marche, and Summers. James Stanley scored his first qualifier victory of 2018 ahead of Rickwood, Riddell, Cullen, and Shawn Stanley. Come feature time, it’d be Daniel Hawn finding his way to the front immediately, taking the lead and scurrying away from the field for his 11th straight OSCAAR Pro Sprint victory. James Stanley placed second for his third straight podium performance, followed by Jaden Riddell with his third top-five of 2018. Brody Rickwood finished fourth for a season-best performance, with Brian MacDonald rounding out the top-five, another season-best performance. Rob Summers finished sixth for his third top-10 of 2018 followed by Shawn Stanley. Unfortunately, an early wreck in the feature took out three of the favorites to run up front – Tyler Cullen, James Marche, and Norman Newman. Cullen would also suffer a knee injury in the process, which would keep him from competing on Sunday. The entire OSCAAR Pro Sprint community wishes Cullen a speedy recovery. Daniel Hawn picked up his 10th heat win of the season ahead of James Stanley, Riddell, and Newman. Shawn Stanley picked up his first qualifier victory of 2018 ahead of Summers and MacDonald. Daniel Hawn went for the daily double ahead of Riddell, James Stanley, and Newman. 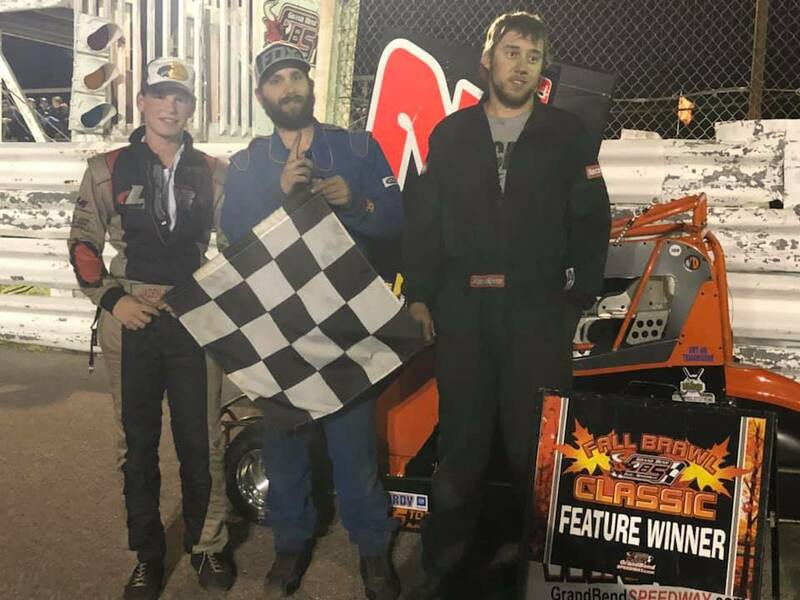 Brody Rickwood picked up his fifth qualifier victory of 2018 ahead of Shawn Stanley, Summers, and MacDonald. The feature would once again produce excitement for the second day in a row with a battle up front for the lead once again. Youngster Jaden Riddell would find his way to the front, making the pass on Rob Summers before tracking down Daniel Hawn for the lead. From there on, it’d be a battle between the pair right down to the end of the race, with Riddell picking up the win. 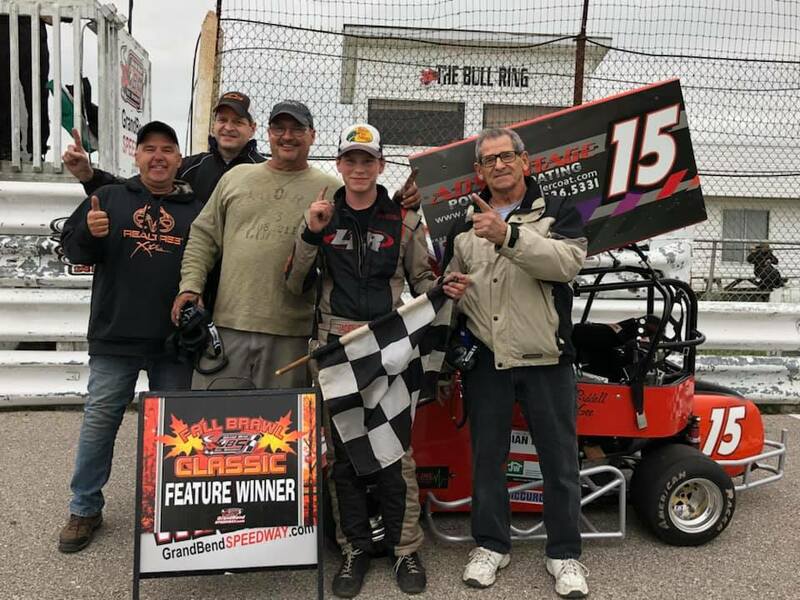 For Jaden Riddell, it marks his first career OSCAAR Pro Sprint Series victory as he becomes the youngest winner in series history in the process. It also marked the fourth top-five of his stellar rookie season to date. James Stanley posted a runner-up for the second straight feature in a row, with Shawn Stanley in third for a season-best performance. This race marked the first race dating back to last year in August that Daniel Hawn hasn’t won, as he crossed the finish line with a fourth-place finish. Brody Rickwood rounded out the top-five. Rob Summers finished sixth for the second day in a row, followed by Brian MacDonald and James Marche. Unfortunately, Norman Newman was unable to start the feature due to mechanical issues.